Jerry M. Woodall, a National Medal of Technology Laureate, and Distinguished Professor of Electrical and Computer Engineering at UC Davis, received a B.S. in metallurgy in 1960 from MIT. In 1982, he was awarded a Ph.D. in Electrical Engineering from Cornell University. He pioneered and patented the development of GaAs high efficiency IR LEDs, used today in remote control and data link applications such as TV sets and IR LAN. This was followed by the invention and seminal work on gallium aluminum arsenide (GaAlAs) and GaAlAs/GaAs heterojunctions used in super-bright red LEDs and lasers used, for example, in CD players and short link optical fiber communications. He also pioneered and patented the GaAlAs/GaAs heterojunction bipolar transistor used in, for example, cellular phones. Also, using GaAs/InGaAs strained, non-lattice-matched heterostructures, he pioneered the “pseudomorphic” high electron mobility transistor (HEMT), a state-of-the-art high speed device widely used in cellular phones. The technological and commercial importance of his seminal work led to the 2000 Nobel Prize in Physics for heterojunctions awarded to Herbert Kroemer and Zhores Alferov. His demonstration of the GaAlAs/GaAs heterojunction led to the creation of important new areas of solid-state physics, such as: superlattice, low dimension, mesoscopic, and resonant tunneling physics. Also, using the technique called molecular beam epitaxy (MBE) and the GaAs/InGaAs strained, non-lattice-matched heterostructure, he pioneered the “pseudomorphic” high electron mobility transistor (HEMT), a state-of-the-art high speed device widely used in devices and circuits including those found in cellular phones. This work led to the use of the pseudomorphic InAs/GaAs heterostructure to make “self-organized” quantum dots, a currently popular topic in physics. His recent past work involves the MBE growth of III-V materials and devices with special emphasis on metal contacts, the thermodynamics of extremely large doping concentrations, and devices made of non-lattice matched heterojunctions and substrates. More recently he invented, developed and published a breakthrough global scale “green” energy storage technology in which bulk aluminum rich alloys split both fresh water and salt water into hydrogen gas on demand, thus obviating the need to store and transport hydrogen. The aluminum hydroxide reaction product is easily recycled back to aluminum via the commercial Hall electrolysis process. This feature coupled with the fact that aluminum has the highest volumetric total chemical energy density known, and the fact that aluminum has the highest volumetric total chemical energy density known, and the fact that aluminum is the third most abundant element on earth’s surface promises to make this technology a serious contender for a long haul, global scale, economically viable, alternative green energy solution. His efforts are recorded in over 350 publications in the open literature, and 85 issued U.S. patents. His accomplishments have been recognized by his election as IBM Fellow in 1985, an $80,000 IBM Corporate Award in 1992 for the invention of the GaAlAs/GaAs heterojunction, and the 2001 National Medal of Technology awarded by the President of the United States. Other recognition includes the 1980 Electronics Division Award of the Electrochemical Society (ECS), the 1984 IEEE Jack A. Morton Award, the 1985 ECS Solid State Science and Technology Award, the 1988 Heinrich Welker Gold Medal and International GaAs Symposium Award, the 1990 American Vacuum Society (AVS) Medard Welch (Founder’s) Award, its highest honor, the 1997 Eta Kappa Nu Vladimir Karapetoff Eminent Members’ Award, the 1998 American Society for Engineering Education’s General Electric Senior Research Award, the 1998 Electrochemical Society’s (ECS) Edward Goodrich Acheson (Founder’s) Award, its highest honor, ECS Honorary Member (2009), an IEEE Third Millennium Medal (2000), the Federation of Materials Societies’ 2002 National Materials Advancement Award, and the 2005 IEEE Jun-ichci Nishizawa Gold Medal. Honorific recognition includes his election to the National Academy of Engineering in 1989, Fellow of the American Physical Society in 1982, IEEE Fellow in 1990, ECS Fellow in 1992, and AVS Fellow in 1994. His national professional society activities include President of the ECS (1990), and President of AVS (1998). This was the first report of a high-efficiency LED, the first fabrication of an LED by the liquid phase epitaxy (LPE) method, and the first use of Si as both an n-type and p-type dopant. To date, this LED remains the LED of choice for IR signal, control, and IR LAN. It is covered by a U.S. patent. The first useful demonstration of the lattice-matched heterojunction, this publication opened the field of heterojunction research in general. It is covered by a U.S patent. This seminal publication demonstrated the use of GaAlAs/GaAs for high-efficiency solar cells and showed that this heterojunction greatly reduced surface recombination in GaAs. It is covered by U.S. patents. This research marked the first realization of HBTs and forms the basis of the power amplifier stage of current cellular phones. It is covered by a U.S. patent. This paper describes what continues to be the device of choice for low-noise small-signal amplification in many applications, including cellular phones. This is the first demonstration of an enabler to allow the integration of InGaAs 1.3-1.5 photonic devices with GaAs high-speed electronic circuits. This is a state-of-the-art ohmic contact widely used by companies that fabricate HBTs for applications that include cellular phones. This is the first reported demonstration of an InAs-based bipolar transistor. It is important because it offers the possibility of terahertz frequency performance. This was the first demonstration of an injection lase with threshold currents well below 1 mA, opening the possibility for realistic optical interconnects for high-density integrated electronic circuits. This HBT device is thought to be a strong candidate for the next-generation technology for cellular phones. It was demonstrated through a manufacturing technology of choice. This was a revolutionary way to efficiently convert solar energy into heat. This was a seminal demonstration that the problem of Fermi-level pinning at GaAs surfaces could be eliminated and, hence, was not due to a fundamental physical limitation. This opened the way to the subsequent demonstration of a GaAs MOS technology and new surface passivation techniques. This paper provided a new way of understanding Fermi-level pinning at compound semiconductor surfaces. Its technological implications led to, e.g., the results of paper 12 above. This is a fundamental interface physics study demonstrating a new mechanism for Fermi-level pinning at lattice mismatched interfaces. The very first report of scanning tunneling microscopy of MBE-grown GaAs surfaces, this paper was cited at the plenary session of the International Conference of the Physics of Semiconductors, 1988, Warsaw, Poland. It was the first experimental proof of current theories for the atomic structure of GaAs surfaces. A seminal paper that demonstrates Schottky limit behavior (no Fermi-level pinning) for MBE-grown GaInAs and low-temperature deposition of metals. It also demonstrates the validity of paper 13 above. The first report of fabricating superlattice structures using GaAlAs/GaAs materials. The invention of the semiconductor superlattice and its physics on GaAlAs/GaAs has led to many prizes and awards. This paper is the seminal work on the electronic properties of As-related defects described in paper #20 below. This is the first report of the properties of As precipitates in GaAs grown by MBE at low substrate temperatures. Since this publication, the authors have demonstrated many important applications including launching a company that has commercialized a state-of-the-art, high-speed photodetector. This breakthrough is covered by a U.S. patent. 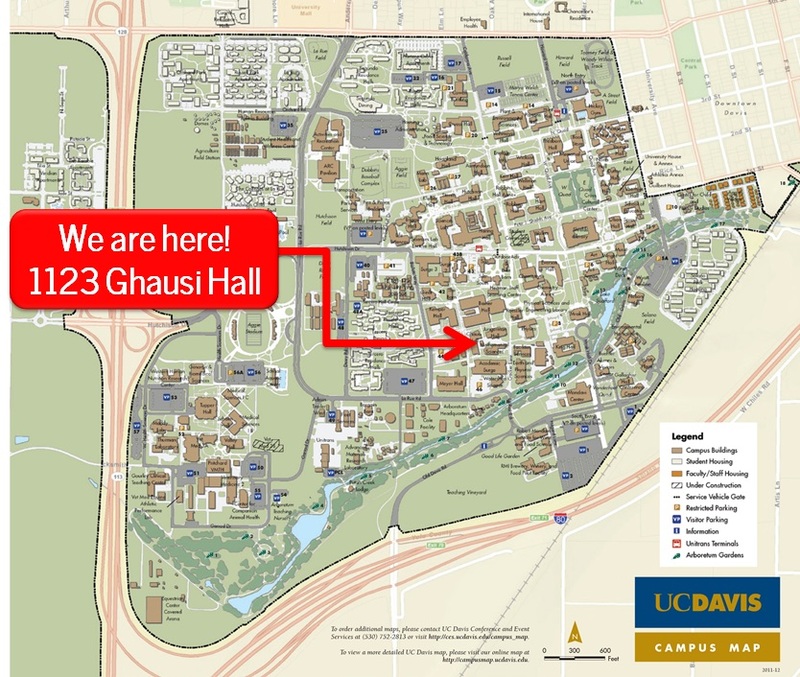 For General Inquiries, contact Prof. Woodall (jwoodall@ucdavis.edu).